1) Because its demographics are similar to that of the continental United States, it is the fast food focus testing center of the planet. 2) There must be something in the water, because many of my favorite artists and bands call Columbus home. And it's looking like Jeff German's about to join their ranks. Jeff German's the first to say he's not a blue collar rocker. Sure, but he brings an earthy sensibility to his music and lyrics. 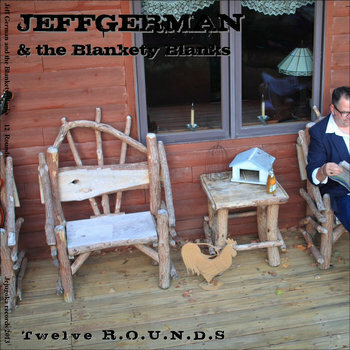 You've probably heard his guitar work with Lydia Loveless and the Cur Dogs, but this is Jeff's first (or most recent -- I can't tell) crack at solo work. These songs are simple, but that's only because they hit you between the eyes with their earnestness and confidence. German is mature but never sedate. Overall, I'm honored to conclude 2013 with Twelve Rounds: this was a year with some of the most tumultuous news stories since 2008, and it also brought us some incredible music. Twelve Rounds gives me plenty of optimism for the coming year. Check back on the 2nd for my favorite albums of 2013!